Announcing the new & improved Elite Series format! Season 3 of the new and improved Elite Series is only 30 days away. Over eight weeks, ten teams will battle it out across FIFA18, Rocket League and Street Fighter V to win money, trophies and bragging rights. This season brings new teams, new games and a brand new format! This season, the Elite Series teams are split into two groups of five. Each team will play each other team in the same group once. 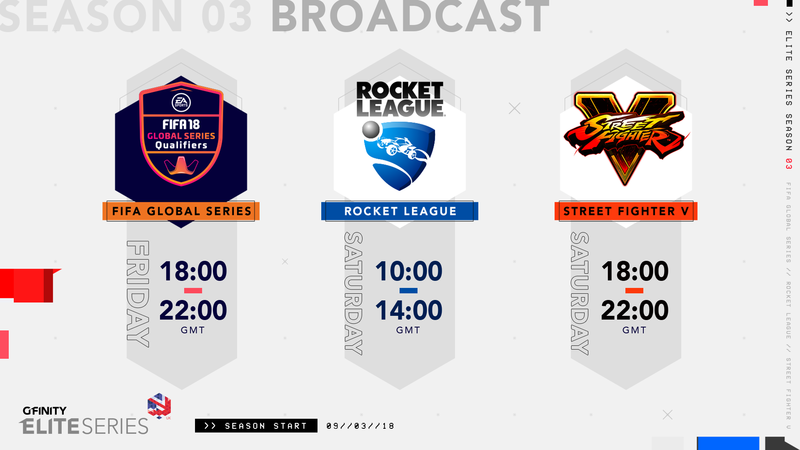 The grouping of teams will be the same across all three games, so if your team is in Group A, they will be in Group A across FIFA, Rocket League and Street Fighter. Don’t forget, there’s nothing stopping you getting involved in the Elite Series if you’ve got the skills to compete! Enter the Challenger Series, compete online, and if you do well enough, get drafted by a pro team!